Sometimes, as human beings, we become so enmeshed in the immediacy of the present that we tend to forget about the past. With the formation of the South Downs National Park and the changes which it is likely to bring to our very special part of the UK, it is perhaps apposite that we remember – and give thanks for – a very special member of our community whose vision and energy years ago paved the way for so many of the amenities which we enjoy locally today and, perhaps, take for granted. I refer, of course, to K.M. Elisabeth Murray, popularly and respectfully known as Betty Murray. A woman of tremendous mental and physical strength and determination she was, first and foremost, an intellectual. Although functioning in an age when women still, largely, expected and accepted male dominance, she bucked the trend without a second thought and made her presence felt in numerous parts of the local landscape. 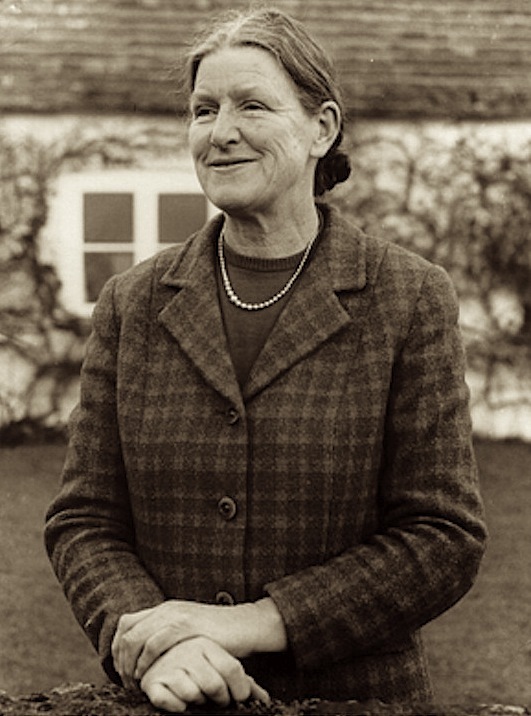 Her tenure as Principal of Bishop Otter College, in Chichester (a training establishment for teachers), between 1948 and 1970, led to her recognition as one of the foremost mid-twentieth century figures in education. Under her guidance the College underwent a succession of major changes, progressing from being a genteel – almost boarding school – environment for young ladies to the admission, in 1960, of men. During the 1960s she instigated and oversaw an ambitious building programme for the College, including new student accommodation for which, using her artistic colour sense, she spent considerable effort and time selecting appropriate furnishings and décor. Under her guidance the student numbers almost trebled. A firm believer in the idea of community, she had, early on, instigated the tradition of The Trundle Walk, where all College members gathered together, early in the first term of the year, to climb the hill together. Upon joining this walk in the 1960s, men were advised that the Principal would always get to the top first. Taking this to mean that one was required to be courteous and allow Miss Murray to be the first to reach the hilltop, several of the men were then amazed to find their Principal striding onwards and upwards at a considerable pace and easily outstripping their efforts! A College chaplain professed to feeling more in awe of her than of any bishop! Intimidation, however, was not her intention nor was it her modus operandi: she simply inspired awe and respect in those who came into contact with her, not least through her devotion to duty (which was paramount) but also through her perception of what was required for a task and her personal efforts to research it; her incisive comments; and her ability to understand people and their lives. The Downs in all its moods excited and moved her. She possessed a keen eye for the beauty of landscapes and worked assiduously to preserve and protect them. Her strong aesthetic sense did not, however, lead her into promoting an adherence to the status quo and allowing Nature to take its course; rather, taking the avant-garde approach which she applied as much to her work at Bishop Otter College – as well as on numerous other bodies – she strove to keep rampant Nature at bay and to promote the natural attributes of native chalk downland, recognising the potential for the richness of flora and fauna which provides endless delight for the senses. The Down behind her Heyshott home was a constant source of delight and wonder. However, during the 1939-1945 war years the Downs became forbidden territory, having been taken over by the army for the purpose of military training. Sandpits were used for the development and use of flame-throwers. Many areas of the Downs were ploughed up, consequently grazing declined and, eventually, the production of arable crops took over from the previously traditional practice of sheep-grazing. The Downs at Heyshott were used as ranges, which resulted in some areas becoming threatened by developing tree seedlings, much to the consternation of Betty Murray and her brother, Kenneth (who visited, biennially, from his work as an archaeologist in Nigeria). To ensure that the inevitable was not permitted to happen, the two intrepid countryside rangers would choose propitious moments to venture into temporary army land and wage war on the encroaching trees and scrub! 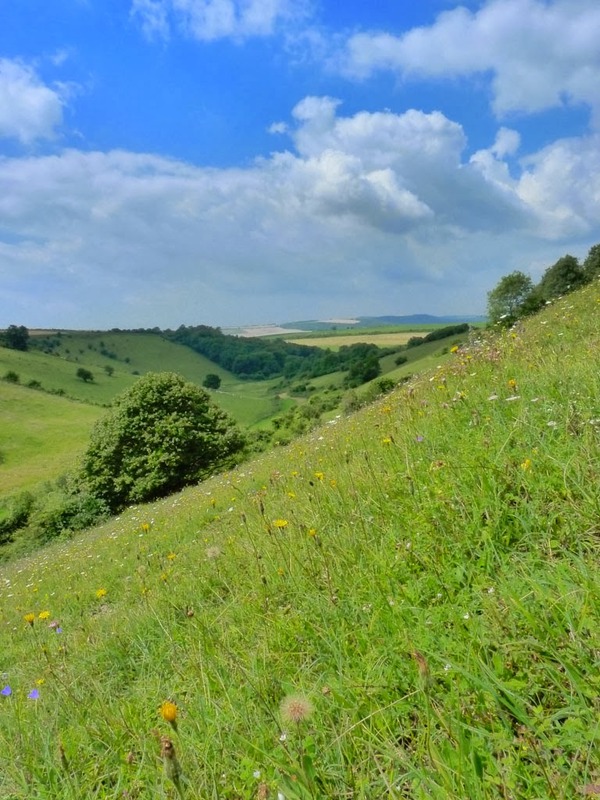 By the end of the Second World War, natural chalk downland had become an increasingly scarce commodity throughout the long stretch of the South Downs. As an active member of the Society of Sussex Downsmen from 1948 onwards, serving as one of its District Officers for forty years, Betty Murray spent many happy and energetic hours on the Downs, clearing scrub and protecting rights of way. She waymarked country footpaths and worked assiduously to help restore the Downs, particularly those at Heyshott, to their former open glory, ensuring that the habitat was suitable for re-colonisation by the beautiful chalk-loving flora in which she – and others – took such delight. There were many other claims on her intellect and time during this period, often to do with public enquiries; but one senses that she was never happier than when wielding an axe or attacking scrub. A keen archaeologist, Betty Murray was fascinated by the wealth of material in the area, whether it be appreciating local bronze age barrows or working to ensure that the treasures of the Roman Palace at Fishbourne remained in situ and accessible to the public. Her trail-blazing proclivities provided her with the vision and energy to be a major force behind the creation of the Pallant House Gallery, which houses one of the best collections of 20th Century British art in the world. As a determined advocate of a civilised physical environment, Betty Murray also oversaw the creation of what was to become a significant art collection at Bishop Otter College, collecting works from some of the more modern artists and, at least in the early days of the collection, displaying it around the college for all to enjoy and admire. Chichester District Museum, the Sussex Historic Churches Trust and the Sussex Record Society are just a few of the organisations which also enjoyed her tremendous mental energy and physical determination. Quiet and thoughtful, with her intelligence shining through in everything with which she became involved, Betty Murray led by example and, by undertaking projects with wholehearted intention and belief, encouraged others to follow suit. The idea of a community working together was an important one to her and, although she was never afraid to court controversy – in her view, anything was preferable to apathy – she valued the feeling of people working together for the good of a common cause and of being willing to experiment as they did so. Her enlightened thinking, within the confines of a positive framework, enabled her to continue to push forward the bounds of civilisation and to observe, with satisfaction, the outcomes. 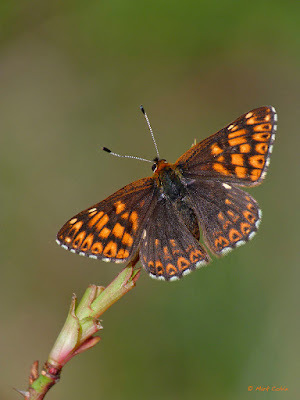 The Murray Downland Trust came into being in 1994, nearly twenty years after the agreement of a lease with the Cowdray Estate which established the reserves at Heyshott; and also at the Devil’s Jumps, leased from the West Dean Estate. 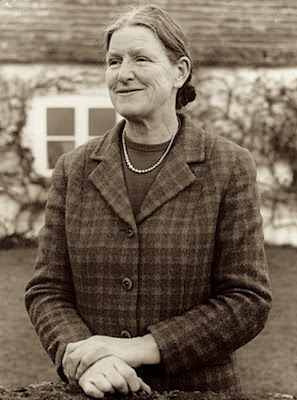 Originally, Betty Murray chaired the advisory committee which was set up, under the auspices of the Society of Sussex Downsmen, to manage the reserves. This committee included several individuals who are, today, still involved with the Trust. After the Society decided that it could no longer justify the expense of supporting the Heyshott and Devil’s Jumps Reserves, it agreed to provide a sum of money to allow the formation of an independent group to do so, hence The Murray Downland Trust was formed: a fitting tribute to its new Patron and indefatigable champion of chalk downland. Today, the Trust continues to celebrate her vision and enlightened thinking, preserving and managing for a new generation the wonderful first-hand experience of exploring chalk downland, and providing oases of beauty and calm to promote the well-being of mind, body and spirit in our increasingly hectic lives.